This unique dining table is the perfect eclectic addition to your home. The table adjusts between standard dining height and counter height with a hand crank, perfect for different situations. The base of the table is made of study metal and the table top of solid wood. 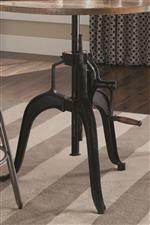 Add this table to your dining area and add contemporary industrial charm. The Galway Adjustable Height Dining Table with Crank by Coaster at Value City Furniture in the New Jersey, NJ, Staten Island, Hoboken area. Product availability may vary. Contact us for the most current availability on this product. 122221B2 Dining Table Box 2 1 0" 0" 0"
122221B1 Dining Table Box 1 1 0" 0" 0"
This dining collection features an eclectic industrial style. The centerpiece of the collection is the round table with a hand crank enabling the table to easily transition between standard height and counter height. 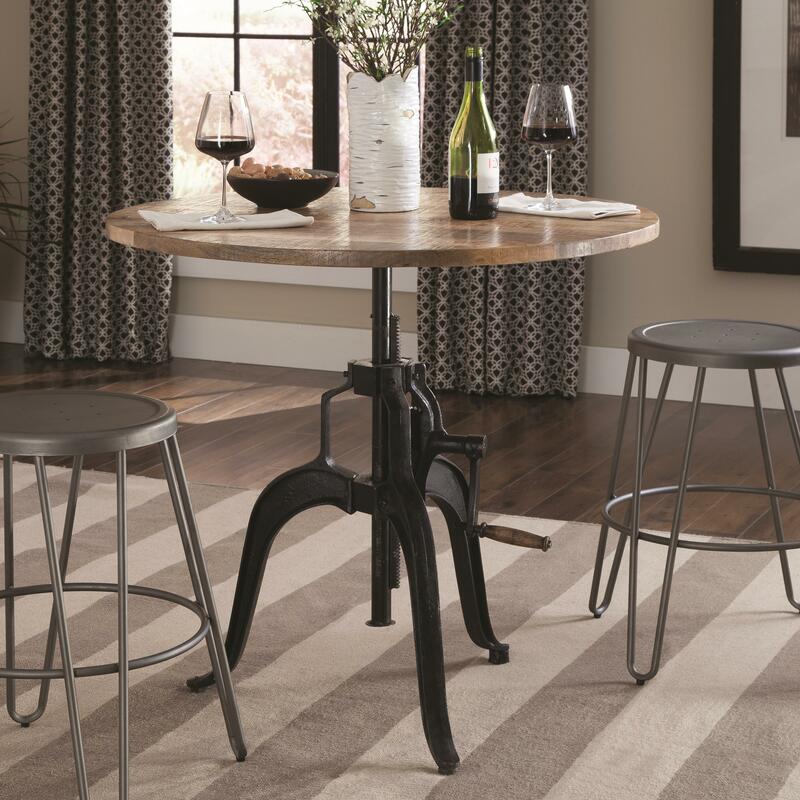 The stools, available in a variety of heights, features a gunmetal finish. The Galway collection is a great option if you are looking for Industrial Industrial furniture in the New Jersey, NJ, Staten Island, Hoboken area.